Step 1: Let’s get some common footing. Name, rank, and serial number soldier! 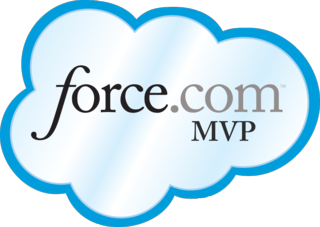 Let’s tackle the basics first…tables, fields, stored procs, triggers….what are they called in Force.com? You have a collection of sObjects called “standard sObjects”. These are objects that are pre-built into your instance and cannot be deleted. They are primarily under control by Salesforce (fields can be added as a result of a maintenance release). You can add your own fields (custom fields) to **MOST** standard sObjects. The “custom sObject” is a table that you create – fields, security, relationships, etc. Standard and custom sObjects all live in the same partition – you can access both standard and custom objects from each other. Examples of standard sObjects = Account, Contact, Event, Task, Opportunity, Campaign, Case. Examples of custom sObjects = MyObject__c, YourObject__c, YourMom__c. For sObjects, depending on the Edition you are subscribed to, you can have between 5 and 2,000 custom sObjects. Just as you have standard and custom sObjects, you have the same with fields. Standard fields will have names such as “FirstName, LastName, MailingAddress”, where custom fields will have “MyField1__c, MyField2__c, etc”. Just as with MSSQL, you have the option of defining the data type for a field (I won’t go into all of them, see this link for details). For fields, depending on the Edition you are subscribed to, you can have between 5 and 800 custom fields per object. You can indeed to many-many (n:n) relationships in Force.com using either of the above relationship types above very similar to how you would use a junction table in MSSQL. For relationships, you can define up to TWO Master-Detail and FIVE Lookup relationships per sObject. Oh man – this is the biggest spot where I really miss the features of enterprise DBMSs like MSSQL. There are no stored procs or triggers at the DB level, at least to how you’re used to thinking about them. Force.com does provide nearly all of the functionality that you’d normally tap via stored procs and triggers, but you have to dive into Workflows (declarative) and APEX classes / triggers (programmatic). Before you freak out too much – bottom line is YES, between Workflow and APEX, you’ll be able to “proc” away. In the interest of keeping on task here, I’m not going to dive into APEX on this post – if you want more info, just leave me a comment or hit me on Twitter (@andyboettcher). This is double-edged sword – I both do and don’t miss being able to index any field. I was pretty good at optimizing my indexes, but I knew a lot of DBAs who just sucked at it. Step 2: How do I create my schema? Where’s my trusty Enterprise Manager / Management Studio? The most raw and fully-functional place you can go is into Setup. If you’re feeling really spunky, Salesforce released the read/write “Schema Browser” with Summer ’12 (finally!) that is pretty darned cool. It’s the closest you’re going to get to an ERD without going to the AppExchange too. Step 3: What tips and tricks should I keep in mind while building my Schema? Create a Naming Convention. Force.com has many examples of how they’ve approached naming conventions (just look through their online documentation or examine their standard sObjects). Pick one and stick with it. Along the normalization lines – think long term and be as generic with field names (as appropriate). Just because you can maintain seperate “Label” and “API” sObject and field names doesn’t mean you should make a habit of it. Very little is more frustrating than having to hunt through your schema for a field with two names. Just as with MSSQL or any other DBMS for that matter – your schema is your foundation. If you have a bad schema, you’re going to have a less-than-optimal application. Be calm, deliberate, and thorough. One big thing I try to impart on everyone I talk to about this is just because Force.com is quick and easy – that is no reason to execute that way. A great saying I heard growing up from my dad while he and I would work on projects around the house – measure twice, cut once. Questions? Hit me up in the comments below or on Twitter (@andyboettcher). Thanks for reading! !